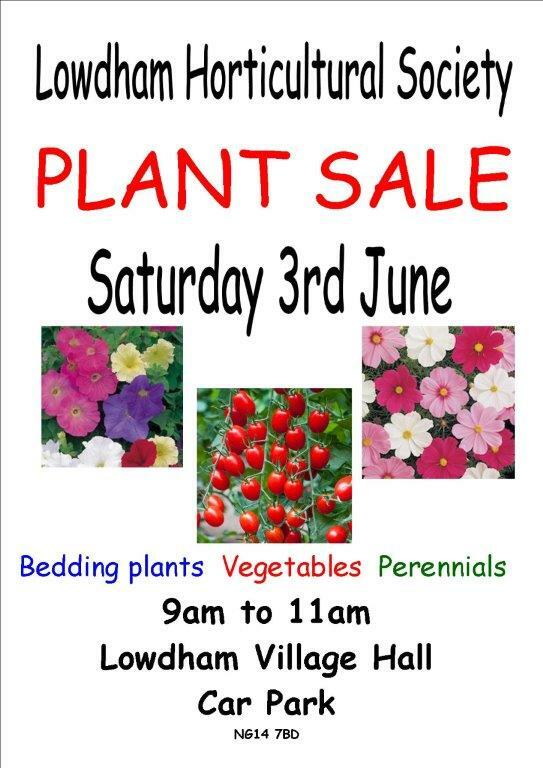 After a very busy and successful first one, we are holding a follow up plant sale, this Saturday 2nd June, from 9am to 12am in the Village Hall Car Park. 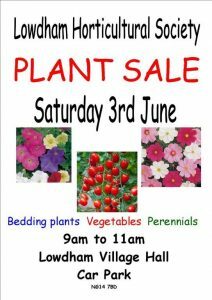 There will be vegetable plants, bedding plants, annuals and perennials available – all at a reasonable price. 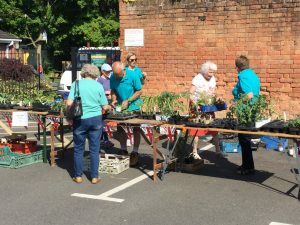 Donations of plants are always welcome! 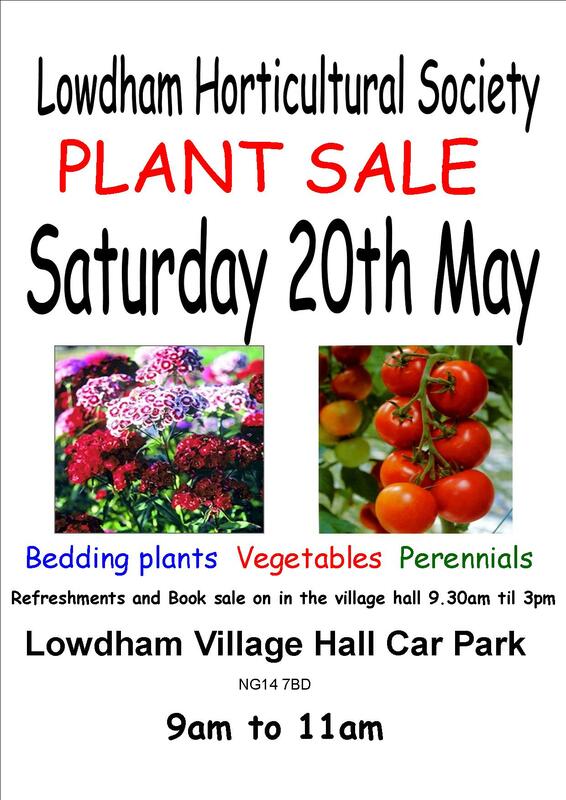 We have our annual plant sale, this Saturday 19th May, from 9am to 12am in the Village Hall Car Park. 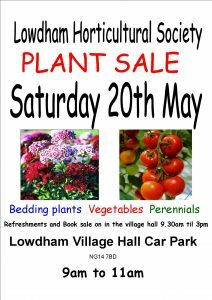 There will be vegetable plants, bedding plants, annuals and perennials available – all at a reasonable price. 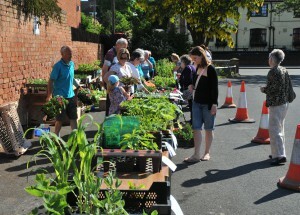 Donations of plants are always welcome! On Sunday 22nd October, Lowdham Horticultural Society will be presenting Nottinghamshire’s Premier Apple Day. 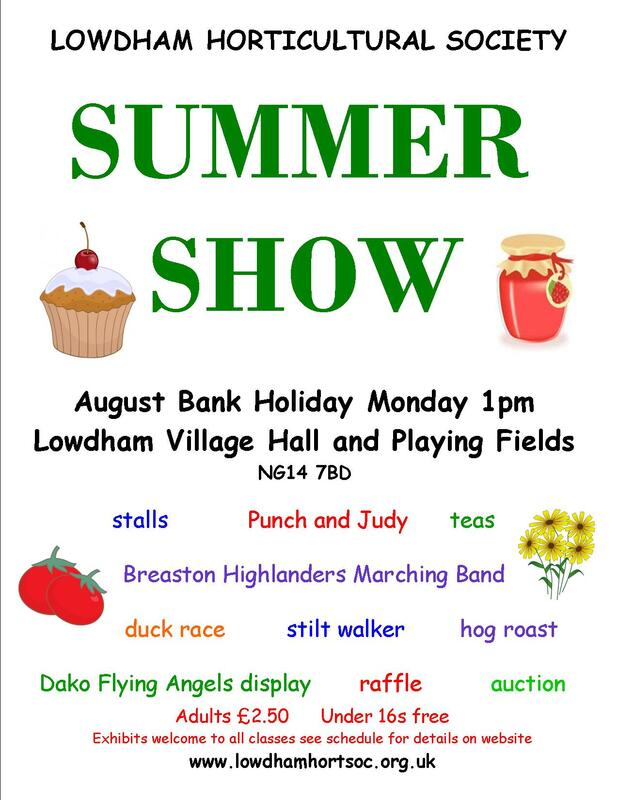 The event runs from 11am to 4pm in Lowdham Village Hall. 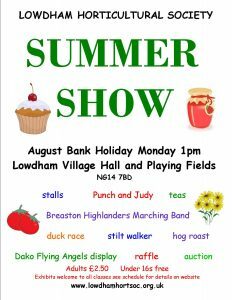 There will be many attractions including honey, preserves sales, juicing and there will be hot food and afternoon teas available. There will be fabulous displays of many varieties of apples and fruits of autumn. Also you will be able to taste a great selection of apples and have the opportunity to purchase your favourite. Adrian Baggaley will be on hand to identify any fruit you may grow in your own garden and give the best advice on care of your trees. Entry to the event is £2.50 for adults with children free. 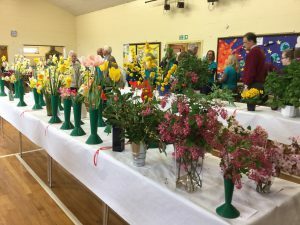 This year’s Spring Show will be held on Sunday 9th April from 1pm to 3.30pm at Lowdham Village Hall. Entries need to be in between 9.30am and 11.30am. 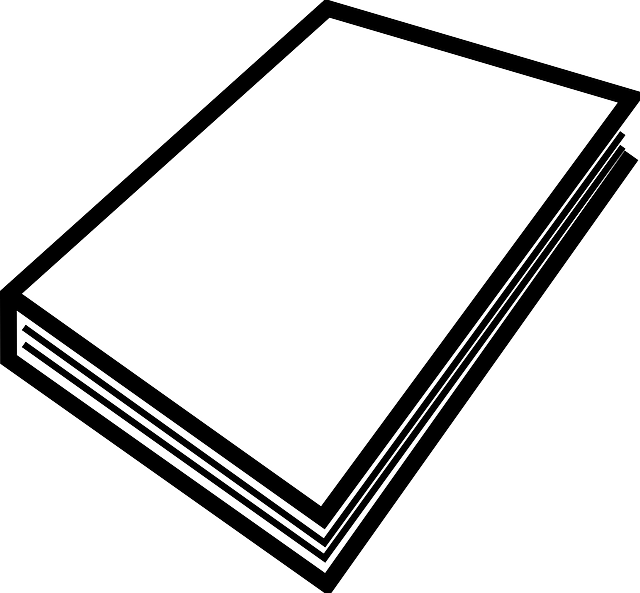 The schedule can be downloaded by clinking the link to the right. Please come along and join us to see a wonderful show of spring flowers, floral art and paintings. Refreshments will be served in the afternoon. Entry is £1.50 for adults with children free. Our next talk is on Thursday 30th March, 7.30pm at the WI Hall, Lowdham. We will be revisited by Janette Merilion, a well known horticultural lecturer and historian with a successful garden design business based in central Lincolnshire. Janette’s talk, ‘The Sensual Garden’, explores the concept that a garden should be inviting, attracting you inside and appealing to all of your senses. Plants that are perfumed, sounds that are musical and even the spiritual feeling of a garden can be created with the right design and imaginative planting. All are welcome and there is a small charge of £3 to non-members. I already have 49 people signed up to go on our trip to Woburn on Sunday 4th June, so please can I have payment in by the end of March. This way I can offer any spaces to people on the waiting list. The cost of the trip is £20 to members and £25 to non members. We are following up the very interesting talk on echiums by Linda and Ray Heywood, with an evening visit to the Echium Garden at 7pm on Wednesday 17th May. We will be given a short talk about the history of Edwinstowe House and the garden, a tour of the garden and refreshments. The cost of the visit will be £5 for members and £8 for non-members. Again all are welcome, but you need to sign up and pay me beforehand, as they need numbers in advance. If you would like more details, don’t hesitate to contact me via the website. Our first talk of 2017 is at 7.30pm on Thursday 23rd February at the WI Hall, Lowdham. We will be visited by Linda Heywood from Echium World at Edwinstowe, who will share with us her love of growing and caring for echiums in ‘Land of the Giants’. We plan to follow up this talk with an evening visit during the summer to see their national collection of echiums. All are welcome and there is a small charge of £3 to non-members. After an excellent talk in December from Martin Towsey, the Estates Garden Manager, will be visiting the Abbey and Gardens at Woburn, Bedfordshire, on Sunday 4th June, We will be leaving from Lowdham at approximately 9am and travelling there by coach, where we can spend time visiting the Abbey and gardens, relaxing with a picnic or enjoying a spot of lunch in the Duchess’ Tea Room! All are welcome and the cost of the trip is £20 to members and £25 to non members. This price covers both the transport and entry to the gardens and abbey. We are keeping our fingers crossed for a lovely sunny day. If you would like more details or to join us, don’t hesitate to contact me.